Few images are as powerful as Moses Parting the Waters, with him being a central character in the history and religion of Jews. 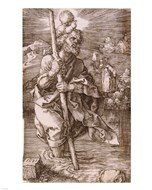 ChefDecor.com has ample coverage for this iconic character and has assembled a comprehensive collection of Moses Prints. They feature him in key moments of his existence, with some of them being celebrated in religious literature. This sort of artwork is aimed at religious people who intend to decorate their homes in a manner that is both appropriate and elegant. One of the reasons for why the visitors have so many options at their disposal, is that talented artists have dedicated their time and energy to paint several masterpieces. Some of these works of art have inspiring titles such as Rembrandt’s Moses Smashing the Tablets of the Law, other Moses drawings are untitled, such as Albecht Durer’s stunning success. 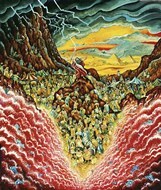 Even those who don’t have any religious affiliation, will find the Moses prints to be a good choice for decorating their walls, for obvious aesthetic reasons. Usually, religious artwork is better display in the privacy of one’s home, but when it comes to Moses posters, it is safe to showcase them in public places. 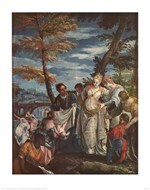 They always have a positive effect on the audience and look great in conjunction with other sorts of biblical figures prints or any religious works of art.